The Professional Regulation Commission and the Board of Civil Engineering released the Civil Engineer Licensure Examination held in the cities of Manila, Baguio, Cagayan de Oro, Cebu, Davao and Lucena this December 2014. 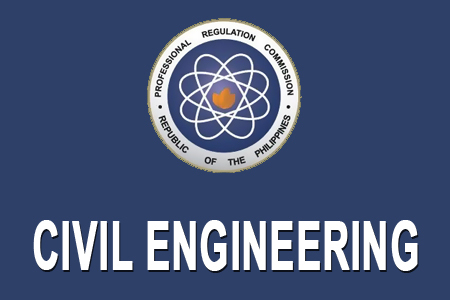 PRC announces that the 4,021 out of 8,127 passed the Civil Engineer Licensure Examination are ready for viewing online, you may also see the list of passers on this page. The Commission agency said that the results were released in three (3) working days after the last day of examination. The Board of Civil Engineering members who gave the licensure examination are Engr. Apollo S. Enriquez, Chairman and Engr. Praxedes P. Bernardo, Member. You may also view the Top 10 Passers of Civil Engineer December 2014. Comments or suggestions about "December 2014 Civil Engineer Board Exam Results Released by PRC" is important to us, you may share it by using the comment box below.